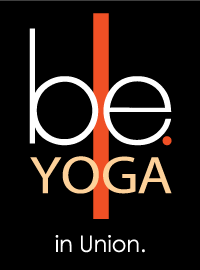 Start taking classes at be. in Union Yoga and other studios! In this Somerville yoga studio, learn the fine craft of weaving your everyday life into your yoga practice and conversely, applying the yoga on your mat to your everyday life. You can rent a mat at the studio if you left yours at home! Definitely a challenge I wasn’t expecting. It gave me a much different view on yoga than I had before this morning. I’d consider putting this into my routine more often. Wonderful studio with calm, friendly vibes. Class was invigorating!! This foundations class was soo good! My back and spine haven’t felt this good in years. I went skiing the following day and was just amazed by how nimble I felt. Challenging and encouraging. It pushed me! She fits a lot into 1.5 hours, and it’s not easy! But your body will feel so much better and loose the rest of the day (drink lots of water). Signed up for power flow but it was a post natal class with a different instructor. Still a good class but not what I signed up for. First time doing heated yoga. Norm is awesome; he really makes you feel as ease and was helpful with corrections. Really great workout!